We can ID this bird as a New Zealand Bellbird by its olive green back and underparts, darker head with a purplish sheen, brighter on the flanks, black primaries and tail and downcurved bill. The New Zealand Bellbird is endemic to New Zealand and is the only living member of the genus Anthornis. 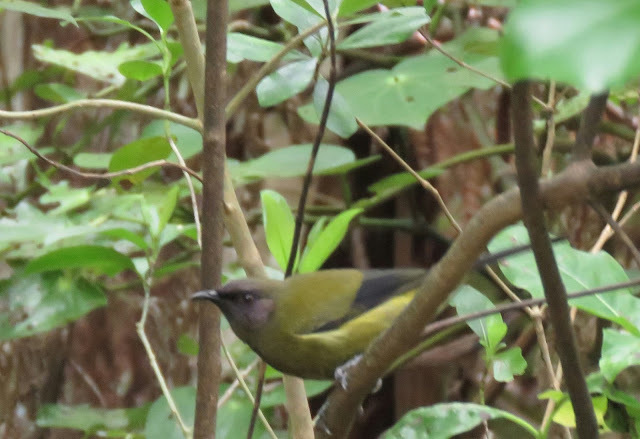 The New Zealand Bellbird is a new species to our Photographic Life List, which now stands at 721.